Now I’m really glad Mom has been letting me review dog treats, dog chews, and even dog food! This is something I can really enjoy and get into. Newman’s Own Organics was kind enough to send me some tasty samples to try out and to use as giveaways! Today I’m going to talk about Newman’s Own Organics Premium Dog Treats-Turkey & Sweet Potato. Have you ever noticed how your dog can smell food and snacks a million miles away? Ok, maybe not a million, but when that package arrives with food goodies, I’m all over it! This was the case with my package from Newman’s Own Organics. I knew something good and delightful was inside, the question always is how long do I have to wait before Mom says it’s ok to give it a try? This weekend was the time! She finally opened the box from Newman’s Own Organics and the aroma of tasty food and snacks filled the room. Maybe Mom or the other humans couldn’t smell the goodies, but I sure could. Mom chose Newman’s Own Organics Premium Dog Treats-Turkey & Sweet Potato for me to try. Mom loves for me to eat “cooling foods” during the summer months. Turkey is a cooling meat, so she thought that would be a good choice.While posing for this review, Mom dropped one of the turkey & sweet potato dog treats and before she could get out “leave it,” I struck like a cobra! Chomp, chomp, chomp….. oh, and it was mighty tasty! These crunchy treats tasted great! So back to the posing so I could earn some more rewards. The Newman’s Own Organics Premium Dog Treats-Turkey & Sweet Potato were easily broken into bite-sized treats. We had the medium size, and it even has a perforation down the middle for easy breaking. Mom also broke them one more time so I got 4 pieces out of one treat. I still do not agree with Mom that I’m only allowed little treats at a time. I would prefer to stick my head into the treat bag and chow away. But then I wouldn’t have my rock-hard abs, and my girlfriend Sabrina Furchild might not like me anymore. Now let’s look at Newman’s Own Organics Premium Dog Treats-Turkey & Sweet Potato to find the quality ingredients. A professionally blended recipe of organic grains, turkey, fruits, and vegetables. No artificial flavors, colors, or preservatives; no wheat or corn. 70% organic ingredients, made in Canada using ingredients sourced in North America without any imported from China. INGREDIENTS: Organic Barley Flour, Organic Ground Turkey, Cane Molasses, Organic Sweet Potatoes, Organic Carrots, Organic Apples, Chicken Fat (Preserved with Mixed Tocopherols and Lecithin), Rolled Oats, Rosemary Extract. 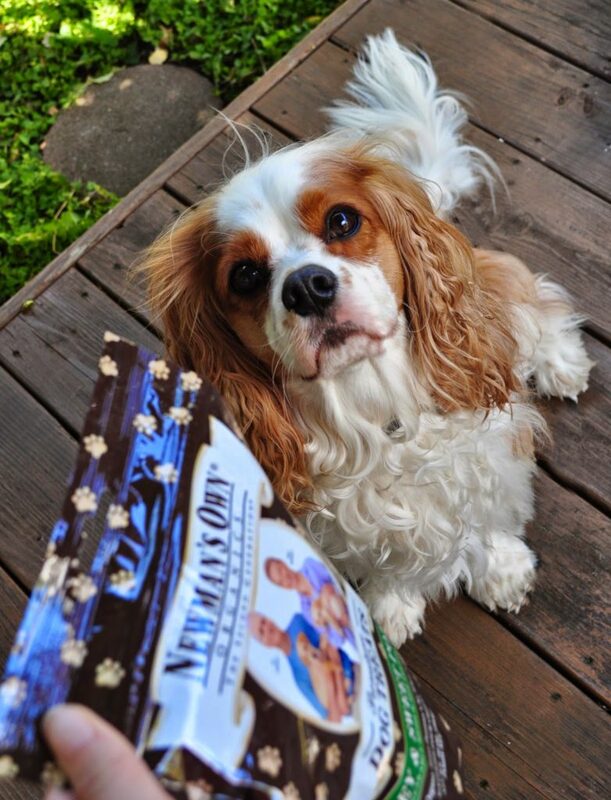 Newman’s Own Organics Premium Dog Treats-Turkey & Sweet Potato are a tasty dog treat for sure! Thank you again for providing me with a sample to try. 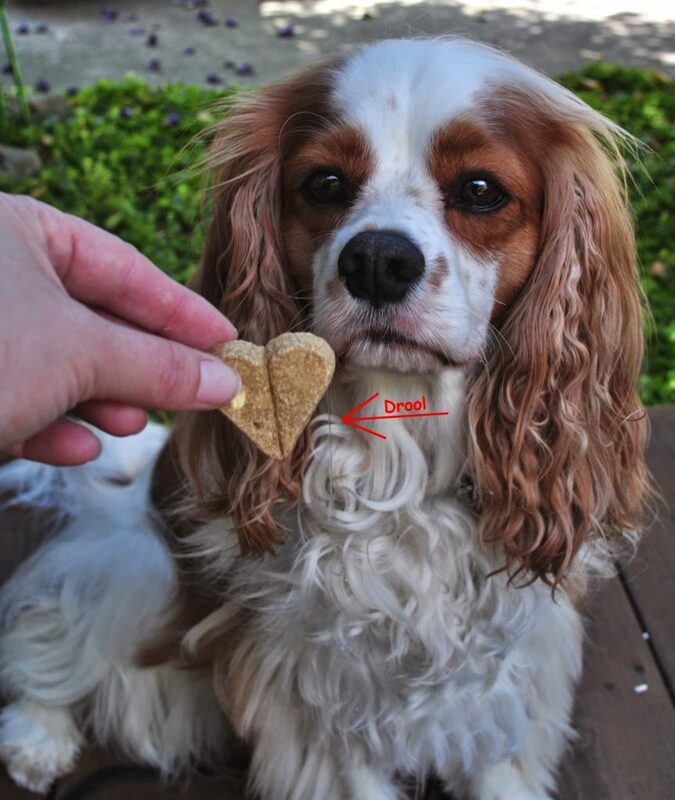 How often does your dog get healthy treats? Tell me in the comments.